2000 Album Reissued On Vinyl LP ! Features Buddy Miller, Bruce Springsteen, Dave Matthews, Kate McGarrigle and more ! Released in 2000, Emmylou's Nonesuch debut was her first album of new material since the 300000 selling, Grammy-winning "Wrecking Ball" of 1995 - and is an almost fully self-penned effort. 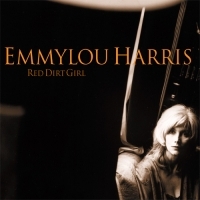 Produced by Malcolm Burn who engineered for Daniel Lanois on the previous album, RED DIRT GIRL features Buddy Miller (guitar), Ethan Johns (guitar), Daryl Johnson (bass), Carlo Nuccio (drums). Recorded in New Orleans, the album includes a guest appearance by Dave Matthews (who duets oh "My Antonia"), plus vocal backup from Bruce Springsteen and Patty Scialfa ("Tragedy"), Kate McGarrigle, Jill Cuniff, and Patty Griffin. It is hard to exaggerate when one seeks to describe the affection and esteem that has come to surround the singer and songwriter Emmylou Harris. With a remarkable career journey documented on 27 albums (including collaborative efforts) and showered with awards and citations of every kind – including the Billboard Century Award – she occupies a singular place among fans and musicians alike as an artist of unimpeachable quality.